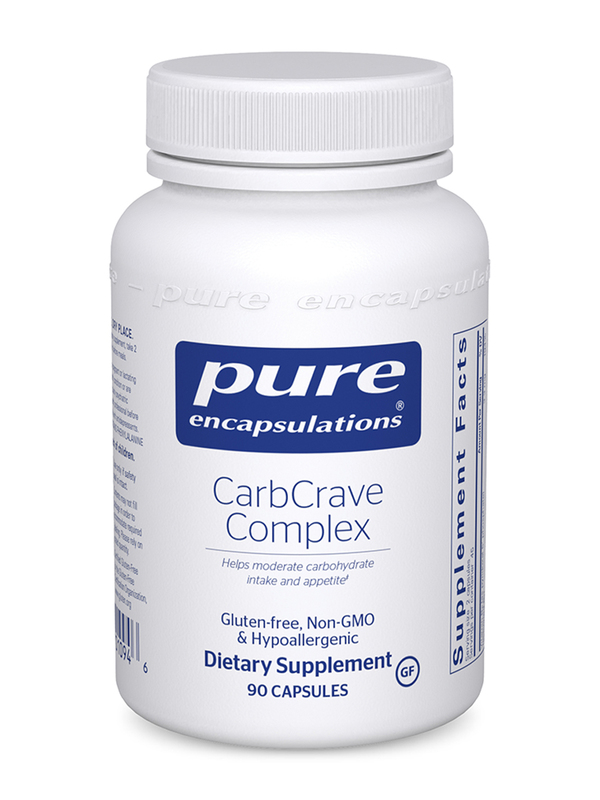 CarbCrave Complex by Pure Encapsulations curves my appetite and give me energy! When you are stressed out‚ your neurotransmitters are out of whack. In some cases‚ this may inspire increased carbohydrate cravings that interfere with your diet. Neurotransmitters are involved in regulating your mood and appetite‚ among other factors. 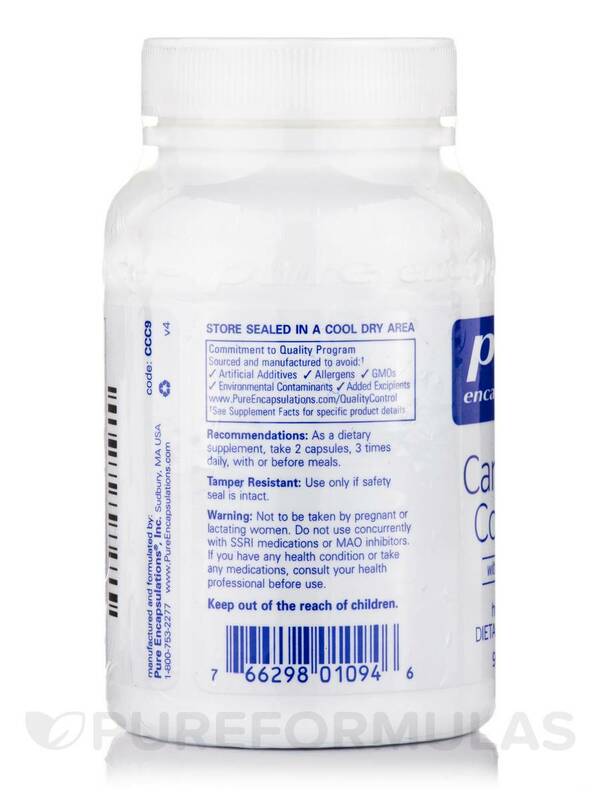 A supplement like Pure Encapsulations' CarbCrave Complex provides an array of nutrients and herbal extracts that work to support the metabolism of neurotransmitters in your brain. 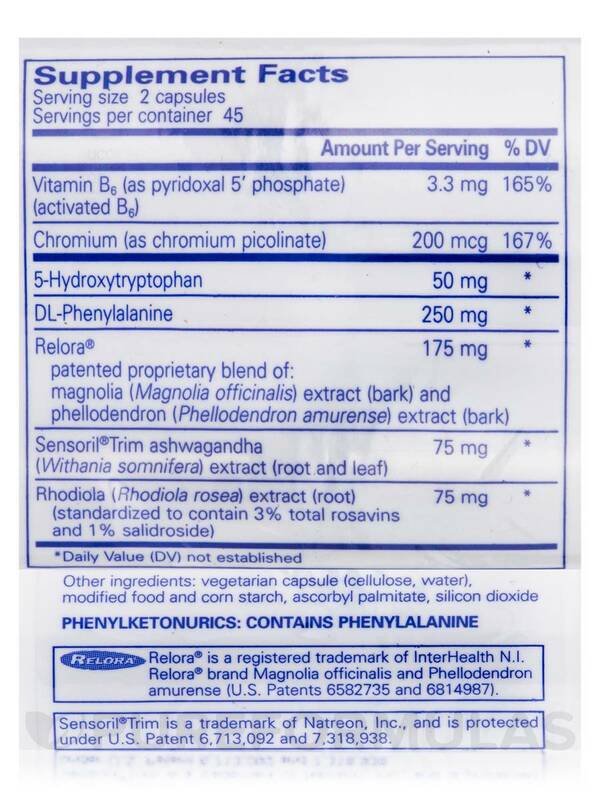 It also contains two neurotransmitter precursors themselves: dl-phenylalanine and 5-hydroxytryptophan. 5-HTP promotes the natural production of serotonin‚ which may boost your mood; carbohydrates do the same thing‚ but with far more calories. Meanwhile‚ dl-phenylalanine promotes the production of epinephrine and dopamine. CarbCrave Complex uses vitamin B6 as a cofactor; this means that it supports the synthesis of neurotransmitters. 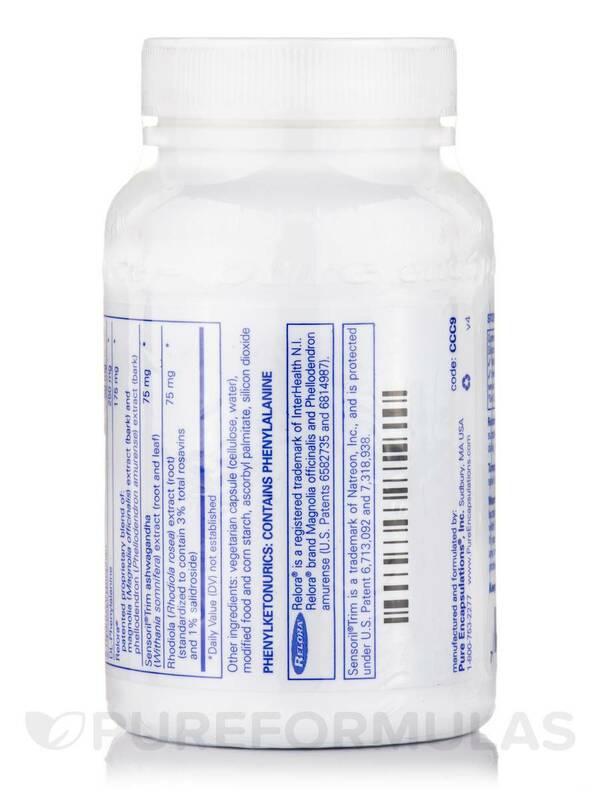 In addition‚ this supplement contains chromium picolinate‚ a mineral that may lessen mood swings. Finally‚ an array of botanicals and herbs may further support healthy intake of carbohydrates and fewer cravings. Relora® is a unique blend of Magnolia officinalis and Phellodendron amurense bark that can help maintain energy‚ while allowing you to better manage stress. Simultaneously‚ the Sensoril®Trim ashwagandha in CarbCrave Complex may work to manage cortisol levels and promote relaxation. When combined with rhodiola rosea extract‚ ashwagandha (also known as Indian ginseng in traditional Ayurvedic medicine) might also boost neurotransmitter activity while helping your mind and body cope with fatigue without consuming foods that provide simple sugars for a quick fix. Take two capsules three times daily‚ in divided doses. You can use this supplement either with or between meals. 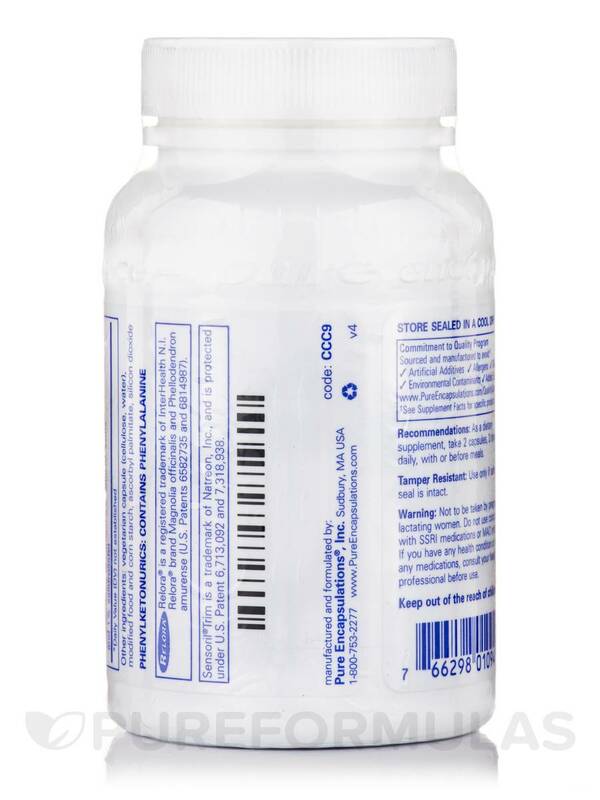 At the recommended dosage‚ each 90-capsule bottle of CarbCrave Complex by Pure Encapsulations should last for about 15 days. Patented proprietary blend of: Magnolia (magnolia officinalis) extract (bark) and phellodendron (phellodendron amurense) extract (bark). 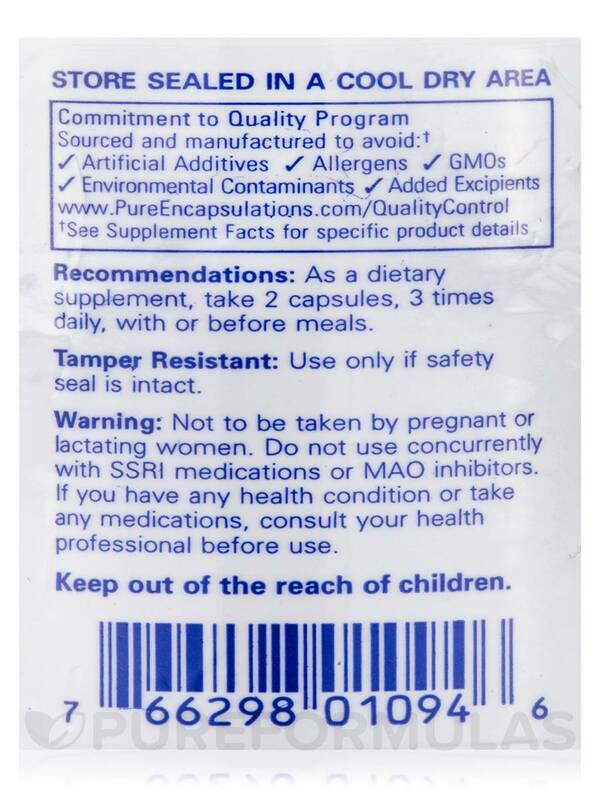 Other Ingredients: Vegetarian capsule (cellulose‚ water)‚ modified food and corn starch‚ ascorbyl palmitate‚ silicon dioxide. As a dietary supplement‚ take 2 capsules‚ 3 times daily‚ with or before meals. If you have any health condition or take any medications‚ consult your health professional before use. I think this CarbCrave Complex by Pure Encapsulations has helped my moods level a bit, and has helped me lower my constant cravings for sugar. Have been using regularly for about three weeks. I think a longer-term use is required for me to know exactly how much it is helping.